I have a slight obsession with note-taking. To-do lists, grocery lists (first a copy of what I need, THEN copied again so it’s in order of the aisles at the store.) Plus “what’s for dinner lists”, “How much weight my cat is losing lists” and “books I should really get around to reading lists” and so on. Now I’m just making lists of my lists. 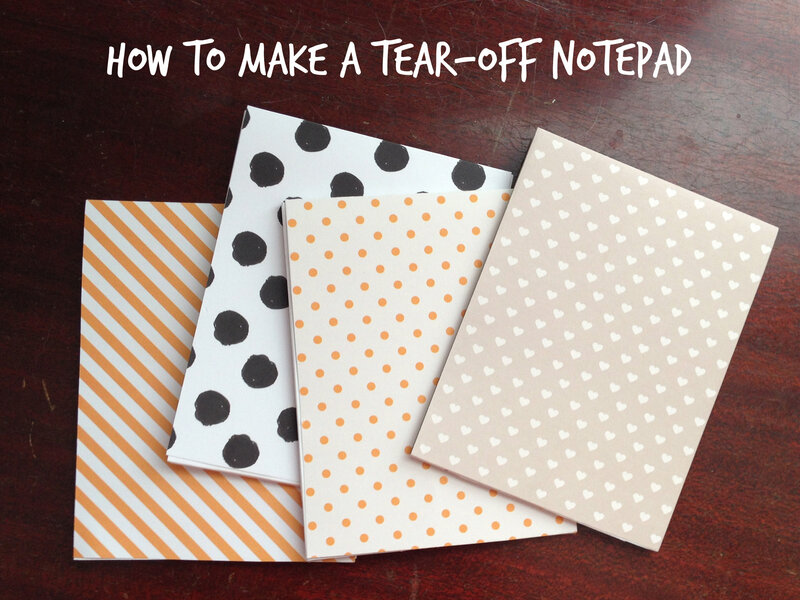 So why not get crafty and make my own notepads? 1. 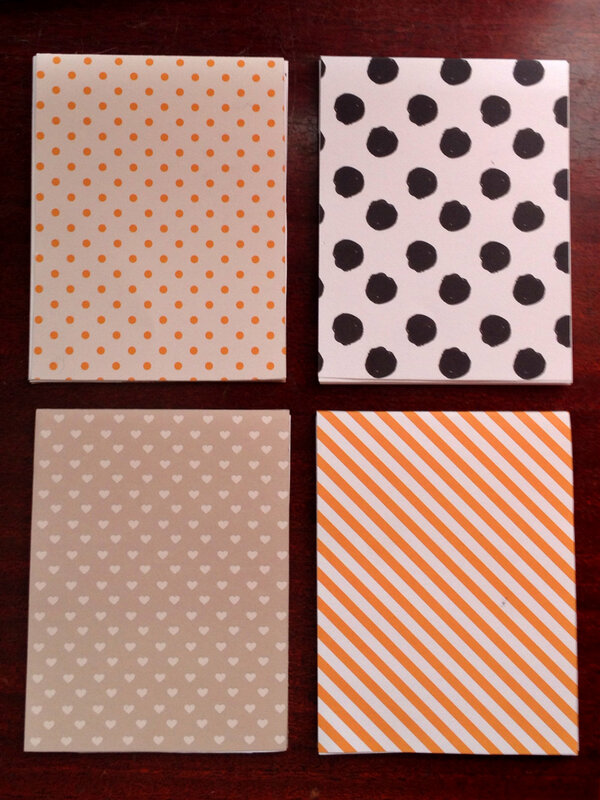 First, decide what size notepad you like. 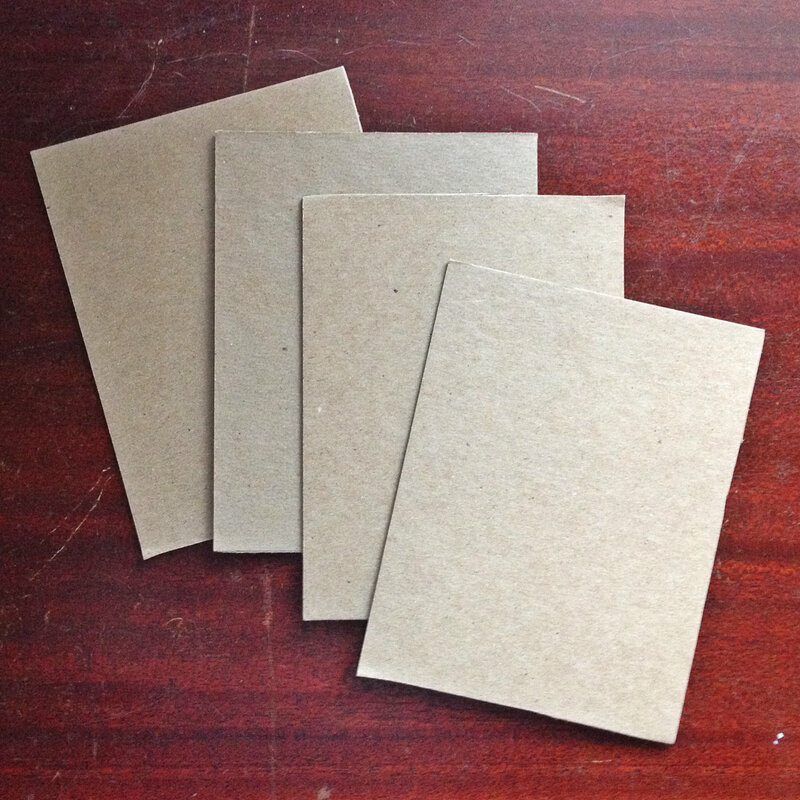 I tend to use smaller notepads more often, so I cut a piece of 8.5×11 chipboard into 4 rectangles. 2. 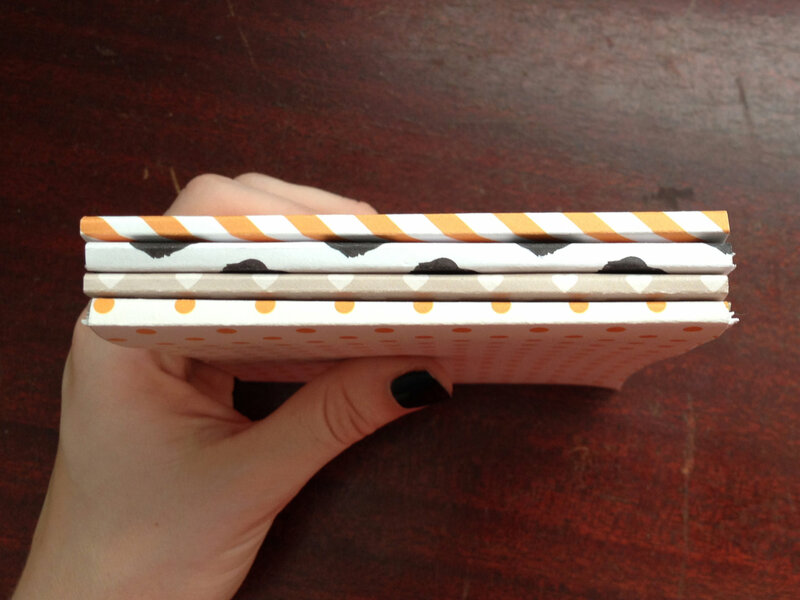 Gather scrap paper and cut it to the same size as the chipboard rectangles. The notepads shown are 20 sheets of paper. Stack the paper together with the chipboard on the back. Tap the stack on a hard surface to get everything lined up well. 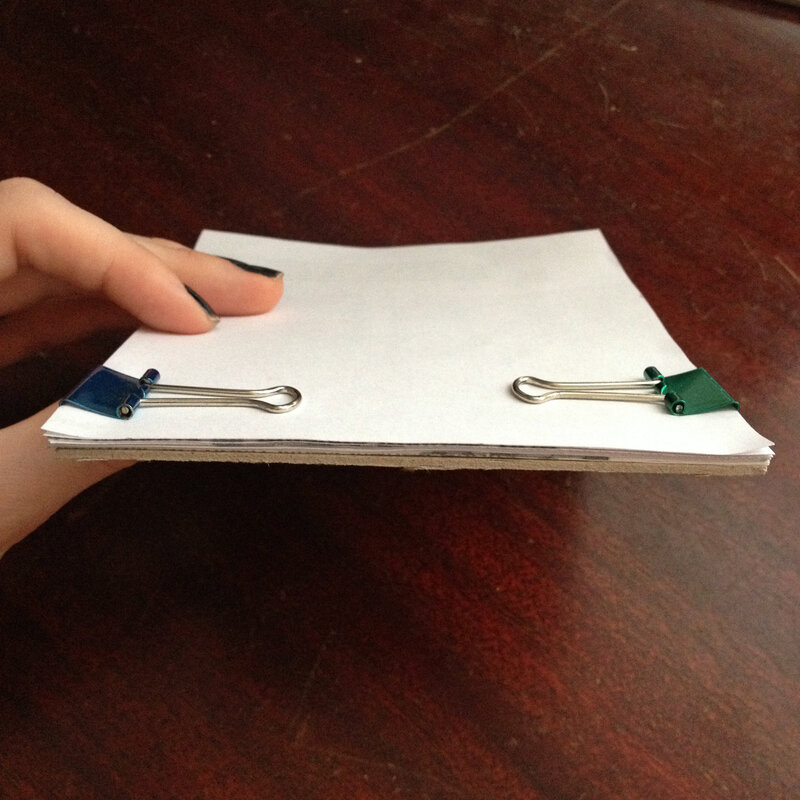 Use binder clips (or paper clips) to hold them together. 3. 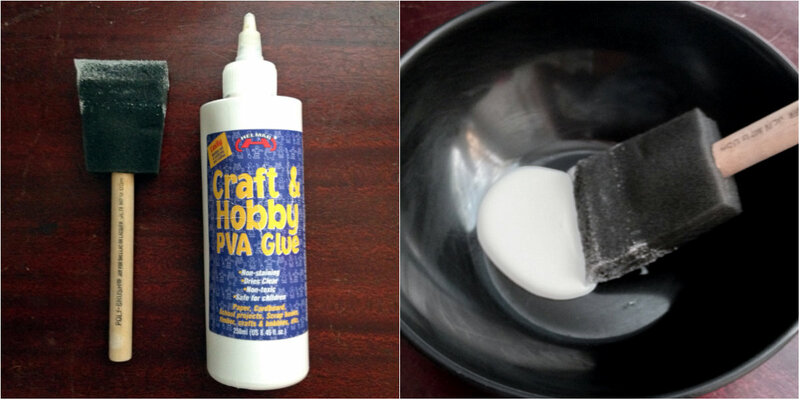 Coat the foam brush or paint brush with the PVA glue and dab it onto the edge of the stack, covering the edge of paper and chipboard completely. Repeat 1-2 times if necessary to cover it well. 4. To make sure everything dries nice and flat, remove the clips, layer the notepads between sheets of wax paper, and leave something heavy on top until dry. 5. After the glue dries, you can leave it as it is and be done. OR to get a little fancy, attach a piece of decorative scrapbook paper or wrapping paper to the back of the chipboard and fold it over the front. 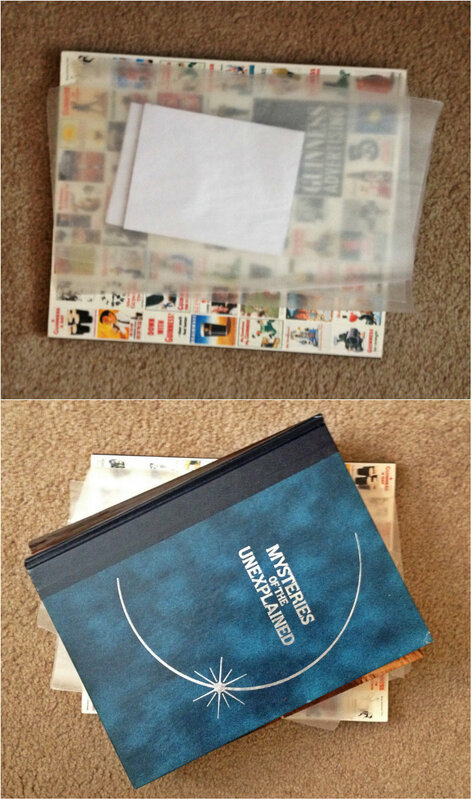 The pages tear off just like a store-bought notepad and it is SO SATISFYING.